Return to the main path by the river which crosses pasture land and terminates near World’s End Bridge. Cross the road for the Pack Horse Bridge and board 12. The Pack Horse Bridge is one of several found in Yorkshire. It is built of sandstone and has one arch that spans the Cod Beck. The high arch not only followed the architectural design of the times but allowed for the rise in river levels following heavy rain on the Hambleton Hills which lie to the east. The bridge, listed by English Heritage, was built in 1672 with the aid of a grant of £20, an enormous sum in those days, and formed part of the transport network when pack horses were used to convey goods around the country. It provided a link, via Oldstead and the Sutton Road, between the Drovers’ Road, which passes along the western edge of the Hambleton Hills and which formed part of an ancient north/south route from the Scottish Borders to Brough, a town on the River Humber, and the larger towns to the west of Thirsk and Sowerby. 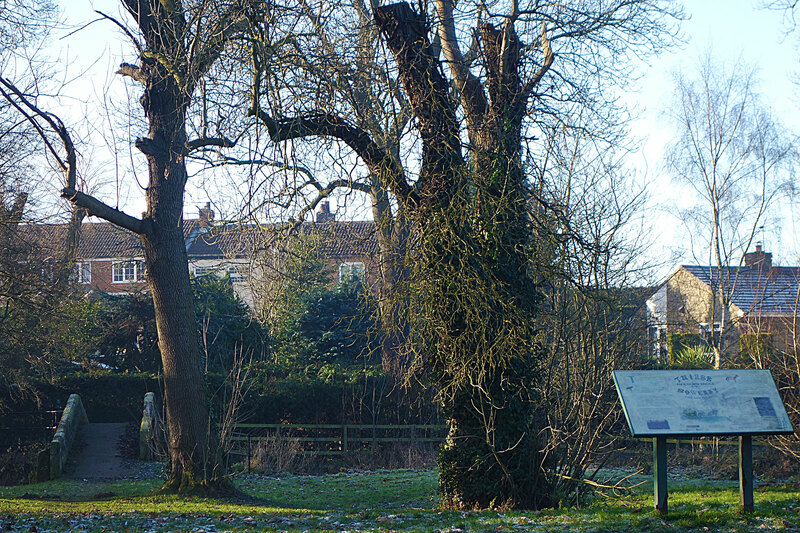 The World’s End was the name often given to a public house that stood at an isolated spot. 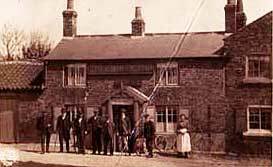 The pub was built by Thomas Dodsworth in1835 close to the Cod Beck and the ancient pack horse bridge. For carters on their way out of Sowerby, it was the last chance for refreshment before setting off down the road to Dalton and for others it was a chance to have a drink while the horses were watered in the beck. Business fell off once the road bridge was built and the pub closed for good in 1911. 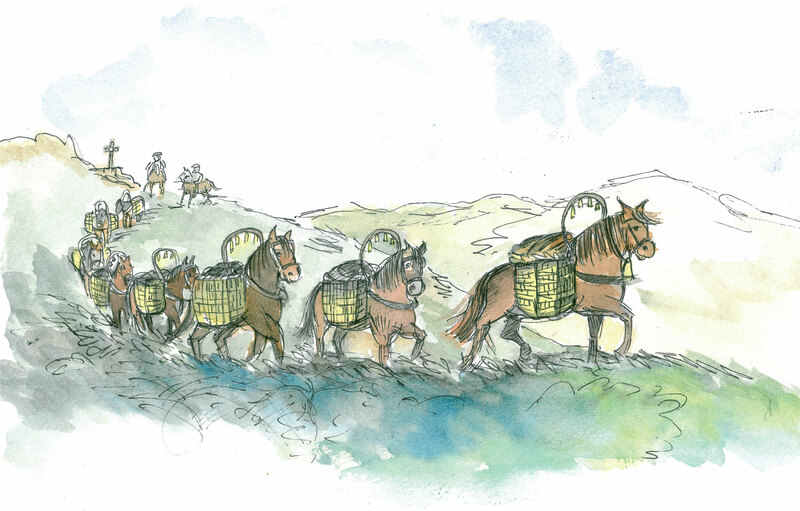 In the 17th century pack horses, walking in single file, carried heavy loads in panniers strapped to either side of their body. They travelled some 20 miles a day and the leading horses wore bells to warn of their approach. The string of horses was looked after by a man known as a ‘jagger’. Like many others, this pack horse bridge is narrow, 5 feet (152 cms.) wide and the low parapets 2.5 feet (76cms.) allow clearance for the panniers the horses carried. Some goods carried to this area might include coal, while farm produce, such as butter and cheese, would be taken to the large towns further afield. The bridge was the only dry-shod crossing of the Cod Beck at the south end of Sowerby village and was widely used by pedestrians.